Piano Lessons with Dr. Robert Carney. About Dr. Carney. 20 years experience teaching children and adults of all ages and skill levels. Associate Professor of Music at Southwest Baptist University in Bolivar, Missouri. Students have received top prizes in numerous local, regional, and international solo piano competitions. Previously served on the faculty of North Central Texas College teaching music appreciation and as Coordinator of Instruction at The Master's Touch School of Music in the Dallas area. Assistantships/fellowships teaching music appreciation, group piano classes, music fundamentals, and studio piano during graduate studies. 2010, Doctor of Musical Arts, Major in Piano Performance: University of North Texas. 2002, Master of Music, Major in Piano Performance: Louisiana State University. 2000, Bachelor of Music, Major in Piano Performance: Missouri State University. Studies with internationally recognized teachers at at each of the above institutions and summer music programs in Aspen, Colorado, and Brevard, North Carolina. Frequent adjudicator of piano competitions and festivals. 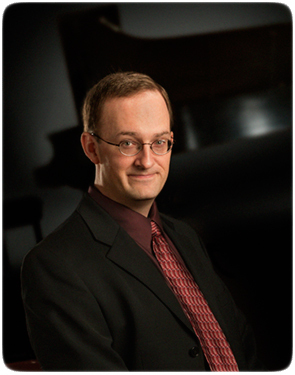 Dr. Carney’s professional affiliations include the Music Teachers National Association, Missouri Music Techers Association, Springfield Music Teachers Association, the College Music Society, and Pi Kappa Lambda National Music Honor Society. Solo and chamber concerts throughout the US and Europe. Competitive performances have yielded many top prizes including first place in the Janice K. Hodges Contemporary Piano Competition, first place in the Missouri Music Teachers’ Association State Auditions (upper level, collegiate), and special recognition as a Presser Scholar. (click here to find out more about Dr. Carney’s performing background).